Radioactive iodine therapy is a safe, effective and permanent treatment for cats with over active thyroid glands. The treatment involves a single injection of radioactive iodine, given under the skin at the back of the neck which is performed with the cat under light sedation. The iodine is then taken up by the thyroid glands and its radioactivity destroys the overactive thyroid cells. This is completely painless and the cat is unaware that it is happening. There are very few side effects associated with the treatment. It takes between two and four weeks for most cats to clear the radioactivity from their system. During at least seven days of this period, they must be housed in a specially equipped and licensed hospital isolation area and unfortunately it is not possible for owners to visit their cat in the unit. 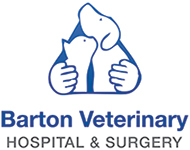 We have experienced veterinary and nursing staff on site at all time. Cats entering the unit must be vaccinated, microchipped and have received worming and flea product. This is to reduce the risk of transmission of disease and parasites between cats in the unit. If the cat is on any medication for hyperthyroidism, these must be stopped seven days before your appointment with us. In the first week after the injection has been given, handling of the cat must be kept to a minimum to avoid health risks to the staff working in the unit. It is therefore very important that we have a full picture of each cat’s general health status before we start the treatment, since the opportunity to treat other illnesses is very limited in this early period. General blood test including routine biochemistry, full haematology, FIV and FeLV. In some cases, a heart scan (echocardiogram) might be necessary. We will take two radiographic views of the chest just prior to treatment in order to detect any potential pulmonary disease or signs of heart failure. Should we suspect the later or any other concomitant conditions, we will discuss necessary test such as echocardiography with the owner. After seven days, we will scan the level of radioactivity emitted by our patients. Should the level be below the safe level fixed by our RPA, the patient will be released and discharge home with restrictions to follow for two weeks. The cat must be kept indoors. The cat must be confined to a room which cannot be the kitchen, bedroom or other high occupancy room. The cat mustn’t be allowed on beds. Any vomit or fur ball must be cleaned immediately and the person doing so must wear gloves. The floor should be scrubbed with soap and water. The litter tray must be cleaned at least daily and any urine soaked litter and faecal matter disposed of in the sewage system immediately. Flushable litter should be used. The owner must limit the contact with the cat and if the cat is handled/stroked, hands must be washed with soap and water. After the treatment, some cats can become hypothyroid for a little while until the normal thyroid gland start working again. We recommend examination at your usual vet two to three months after the iodine treatment. T4, renal parameter and blood pressure measurements are important at that time to ensure your animal did not suffer from any conditions that could have been masked by the hyperthyroidism.